We all know that denim is a girl’s best friend. This fabric is having a moment right now, as we see runway shows and streets full of denim dresses. In today’s article I want to share with you a stunning collection of blue denim frocks. Say goodbye to jeans and chambray shirts, as we see new Summer go-to piece that will make you look fresh and oh-so-chic. This easy dressing garment is ideal for creating fabulous outfits. 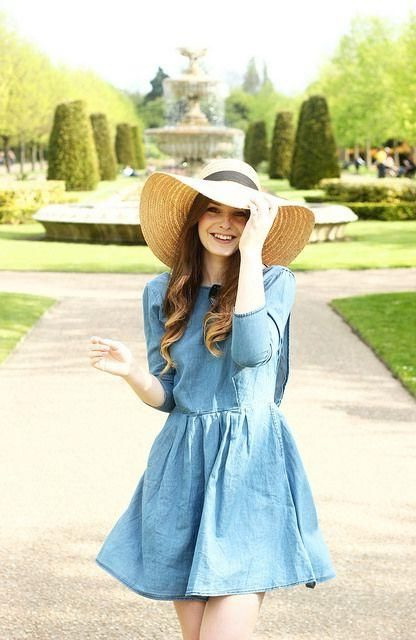 A-line denim long-sleeve dress is styled with a pretty straw floppy hat. 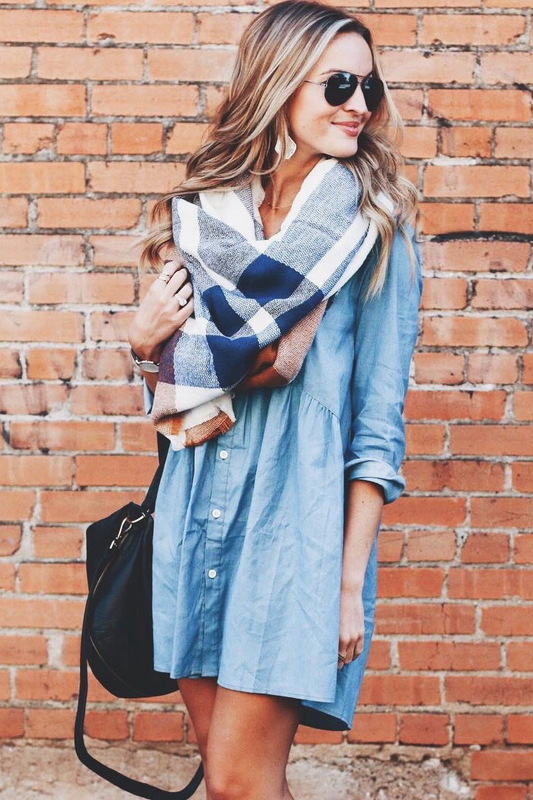 Why do I love denim dress so much? I can style it million different ways. Believe me, everyone who ever tried denim dress felt much more forward and special. There are lots of different designs to choose from, including front buttoned versions, short, long, slouchy, shirt-dress shaped, tunic-alike, shift, fit-and-flared, T-styles, etc. 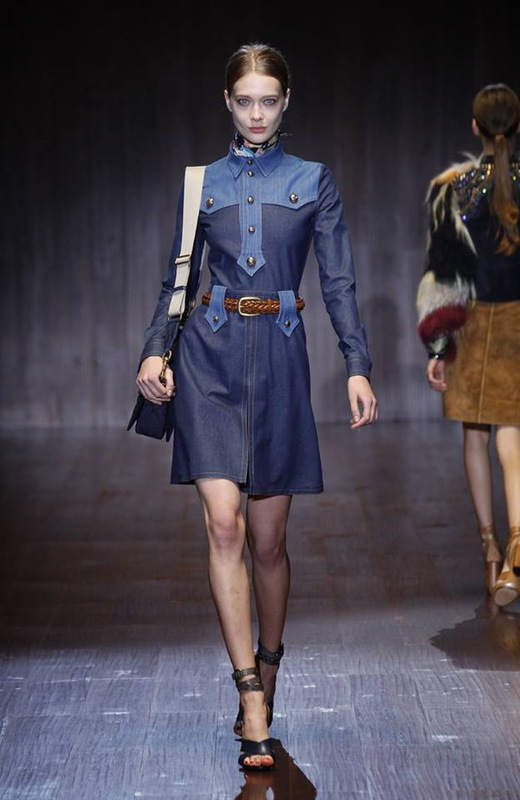 You gonna be wowed by the versatility of the denim frock. For your one and only styling inspiration, I gathered 20 street-style approved ways to wear this beautiful dress. Scroll through to see how to wear it in your everyday life.